You are here: GeekSays Technology News » Apple » Is It Time to Sell Apple Shares? As a tech company, Apple is one of the most valuable companies in the United States. Apple shares are now valued at around $110 per share, which is relatively high even compared to some of the best-performing shares on the market. Experts, however, are predicting some serious drops in the coming months. Is it really time to sell your Apple shares? There are a lot of experts who predicted the company’s future. 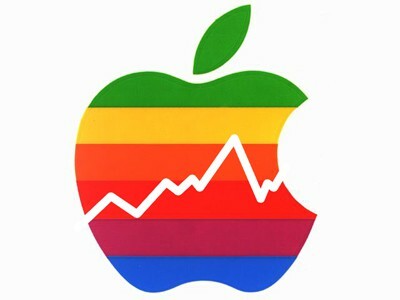 Allow me to start with Carl Ichan’s prediction that Apple shares will hit $200 by the end if this year; this prediction didn’t come true, which is seen as the first sign of trouble for the company. On top of that, Morgan Stanley is predicting a drop in sales of iPhones in 2016. Katy Hubert predicts that the iPhone sales will drop by as much as 6% next year. The market is very saturated these days and the prediction may come true after all. The iPhone 6s and 6s Plus are performing well on the market, but Apple needs to introduce some very attractive new features to keep the iPhone 7 just as popular. Pricing is another issue that may hamper iPhone sales in 2016. A lot of people see the iPhone 6s and 6s Plus as being overpriced already. Even if Apple can maintain the same pricing structure for its 2017 model, cheaper – more capable – alternatives may pose some serious threats. Say what you will about how Apple always innovate new features, but the truth is simple: some of Apple’s latest innovations aren’t the big hit they are expected to be. The Apple Watch, for example, is not the hit Apple wanted it to be after all. Consumers and the market in general don’t see these facts as threats, but the financial market is much more sensitive than that. Shareholders are expecting massive Apple Watch sales and end up disappointed. This will certainly contribute to further drops in share value over the next coming months. If there is one definite reason why now is the best time to sell Apple shares, it’s the fact that the shares themselves are analysed as being overvalued. Its current $110 value is based on the fact that Apple has a lot of cash in its hand. Experts are using PEG (Price/Earnings to Growth) ratio to come to this conclusion. In 2014, the PEG ratio was hovering around the 11% level. Apple’s earnings? Up by only 7%.